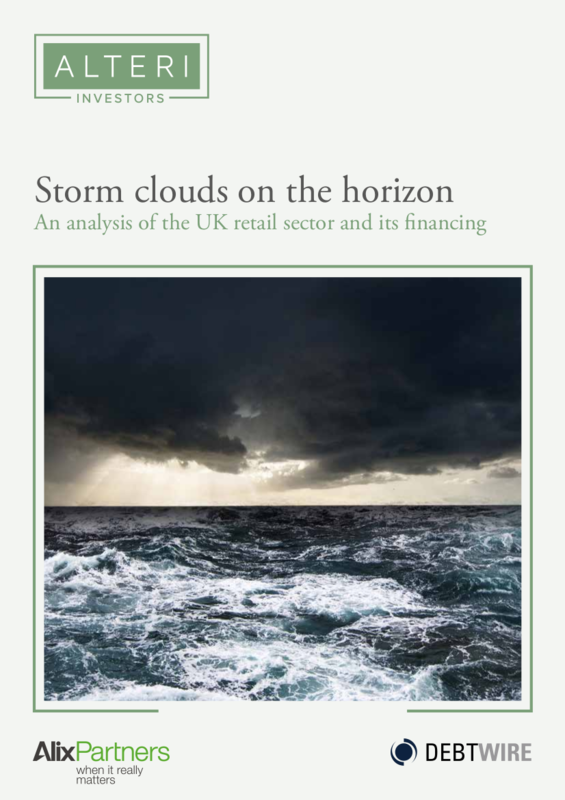 We are pleased to present Storm clouds on the horizon: An analysis of the UK retail sector and its financing, published in association with Alteri Investors. Based on research conducted by Debtwire and Alteri on the current state of UK retailer debt, the findings are highly polarised: some retailers are confident about their future while others acknowledge the turbulence that lies ahead. 58% of UK retailers cite ongoing pricing pressure from consumers due to constant discounting as a particular concern, while 50% say they are concerned about the impact of Brexit. Currency volatility is also on the radar for retailers, with 74% of respondents having hedges rolling off in 2017 and 69% expecting their prices to rise this year. The majority (66%) do not expect results to suffer after currency hedges roll off, but many intend to offset potential losses with price rises. Most are not overly worried about debt levels or access to finance despite heightened trading pressures – 74% say their total debt burden will be the same or lower by the end of 2017. Long term, respondents plan to take greater advantage of non-bank direct lending, rising to 2% of their total debt by the end of 2019, and then 4% by the end of 2021.